KUALA LUMPUR (May 3): Global oil discoveries fell to a record low in 2016 as companies continued to cut spending and conventional oil projects sanctioned were at the lowest level in more than 70 years, according to the International Energy Agency (IEA), which also warned that both trends could continue this year. In a statement on its website last week, the IEA said oil discoveries declined to 2.4 billion barrels in 2016, compared with an average of 9 billion barrels per year over the past 15 years. 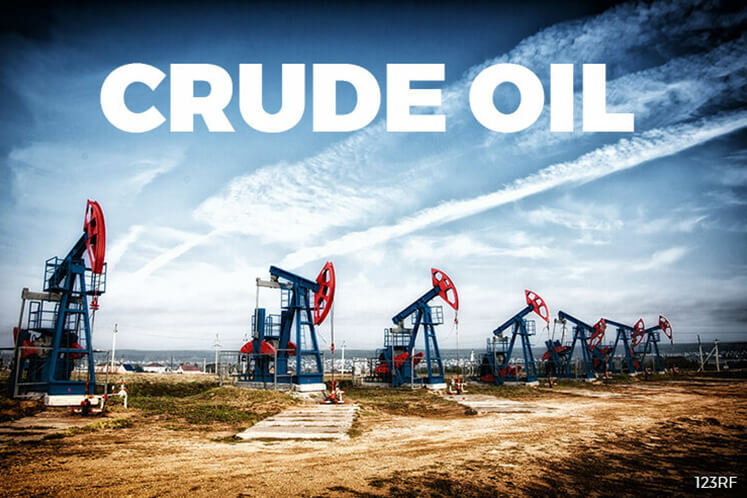 Meanwhile, it said the volume of conventional resources sanctioned for development last year fell to 4.7 billion barrels, 30% lower than the previous year as the number of projects that received a final investment decision dropped to the lowest level since the 1940s. The IEA explained that this sharp slowdown in activity in the conventional oil sector was the result of reduced investment spending driven by low oil prices. “It brings an additional cause of concern for global energy security at a time of heightened geopolitical risks in some major producer countries, such as Venezuela,” it said. The IEA said the slump in the conventional oil sector contrasts with the resilience of the US shale industry. “There, investment rebounded sharply and output rose, on the back of production costs being reduced by 50% since 2014. This growth in US shale production has become a fundamental factor in balancing low activity in the conventional oil industry,” it said. It said conventional oil production of 69 mb/d represents by far the largest share of global oil output of 85 mb/d. It said that in addition, 6.5 mb/d come from liquids production from the US shale plays, and the rest is made up of other natural gas liquids and unconventional oil sources such as oil sands and heavy oil. “With global demand expected to grow by 1.2 mb/d a year in the next five years, the IEA has repeatedly warned that an extended period of sharply lower oil investment could lead to a tightening in supplies. “Exploration spending is expected to fall again in 2017 for the third year in a row to less than half 2014 levels, resulting in another year of low discoveries. The level of new sanctioned projects so far in 2017 remains depressed,” it said. IEA executive director Dr Fatih Birol said every new piece of evidence pointed to a two-speed oil market, with new activity at a historic low on the conventional side contrasted by remarkable growth in US shale production. “The key question for the future of the oil market is for how long can a surge in US shale supplies make up for the slow pace of growth elsewhere in the oil sector,” he said. The IEA said the US shale industry has lowered its costs to such an extent that in many cases it is now more competitive than conventional projects. “The average break-even price in the Permian basin in Texas, for example, is now at US$40-45/bbl. Liquids production from US shale plays is expected to expand by 2.3 mb/d by 2022 at current prices, and expand even more if prices rise further. “The offshore sector, which accounts for almost a third of crude oil production and is a crucial component of future global supplies, has been particularly hard hit by the industry’s slowdown. In 2016, only 13% of all conventional resources sanctioned were offshore, compared with more than 40% on average between 2000 and 2015,” it said. The IEA said that in the North Sea, for instance, oil investments fell to less than US$25 billion in 2016, about half the level of 2014. “Coincidentally, this is now approaching the level of spending in offshore wind projects in the North Sea, which has doubled to about US$20 billion in the same period,” it said. More on investment trends and the future of oil prospects will be found in the forthcoming World Energy Investment 2017 report, to be released on July 10, and in the World Energy Outlook 2017, set to be published on Nov 14.